Search found 23 matching products. 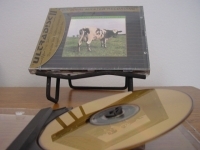 "Pink Floyd, Atom Heart Mother - Factory Sealed MFSL 24-Karat Gold CD"
"Queen, Night at the Opera - Factory Sealed DCC Gold CD"
DCC 24K Gold CD. Queen, NIGHT OF THE OPERA, the bombastic with a sense of humor that encompasses metal (Death of Two Legs), (Sweet Lady), shimmering pop (You?re My Best Friend) and musical prog-rock (The Poet Song) is all brought together on the pseudo-operatic masterpiece Bohemian Rhapsody? (Wayne's World). The detail and meticulous productions are brought dazzlingly to life by this incredible mastering of guru, Steve Hoffman. Track listing 1. Death On Two Legs (Dedicated To...) 2. Lazing On A Sunday Afternoon 3. I'm In Love With My Car 4. You're My Best Friend 5. 39 6. Sweet Lady 7. Seaside Rendezvous 8. Prophet's Song, The 9. Love Of My Life 10. Good Company 11. Bohemian Rhapsody 12. God Save The Queen Details Playing time: 43 min. 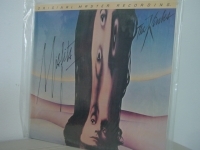 Producer: Queen, Roy Thomas Baker Distributor: Ryko Distribution Recording type: Studio Recording mode: Stereo Queen: Freddie Mercury (vocals, piano); Brian May (guitar, harp, ukulele, background vocals); John Deacon (electric piano, acoustic & electric basses); Roger Taylor (percussion, background vocals). Digitally remastered by Steve Hoffman. Though they began their career practicing an artier, more theatrical variant on the Led Zeppelin heavy rock sound, Queen was always capable of much more. Ultimately, Freddie and the boys were popsters at heart, and capable ones to boot. A NIGHT AT THE OPERA is where they begin to show their eclecticism and compositional facility. The album title is probably a reference to the FM rock anthem "Bohemian Rhapsody," which begins as an existential ballad before moving into a mock-operatic section featuring scores of overdubbed Freddie Mercurys. "Rhapsody" is just the tip of the iceberg here. 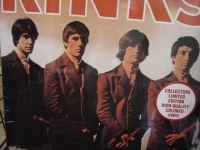 "Lazing on a Sunday Afternoon" is a music hall ditty that owes a debt to the Kinks. "'39" is a surprisingly poignant folk-rocker written and sung by Brian May. 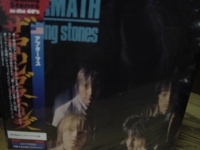 "You're My Best Friend" is pure '70s AM melodic pop. Queen even ventures into vaudeville territory (given Mercury's show biz leanings, not as much of a stretch as one might think) on the fatalistic, old-timey "Good Company." There are several souped-up rockers here as well, but it's A NIGHT AT THE OPERA's winning stylistic experimentation that makes it a milestone in Queen history. 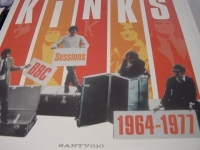 "Spirit of the 60s, 1964"
"The Kinks, Misfits - MFSL Factory Sealed JVC Super Vinyl"
"The Kinks, The EP Collection - Limited Edition Numbered 10 CD Box Set - CURRENTLY OUT OF STOCK"
Out of Print, Limited Edition EP Box Set Collection. 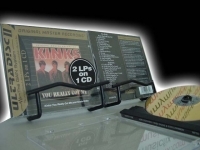 This is a tremendously rare Collection of 10 Kinks CD's that are replica to their original releases in the 60's and early 70's of their 7" 45 vinyl 4 song singles (aka EP's) with the original release jackets all housed in a box set. 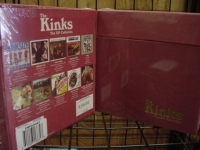 Each has a Limited Edition number printed on the box set that can only be found in this specific collection. . Limited edition release (15,000 worldwide) with 10 of the group's greatest EPs all boxed up, 'Waterloo Sunset', 'Dave Davies Hits', 'Kinksize Collection', 'Kwyet Kinks', 'Dead End Street', 'The Kinks In Sweden', 'Kinksize Hits', 'Kinks', 'Dedicated Kinks' and 'Kinks - The Village Green Preservation Society'. 40 tracks total. 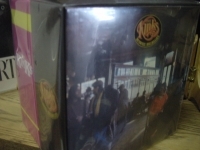 Each EP comes in a separated slipcase sleeve with the original artwork intact. 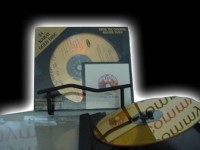 Together they come inside a red, embossed, CD-sized flip-topbox with embossed gold lettering. 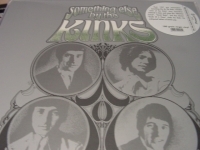 Each copy is individually numbered on the back The Kinks were one of the most criminally underrated bands in the history of rock and roll. 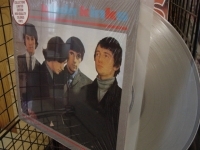 Part of the problem in the United States was that much of the band's music focused on traditional English themes and could be seen as conservative during their greatest period, the late 60's and early 70's. Most of the rock bands of the era were promoting revolution, while the Kinks longed for a return to the village green of yore. 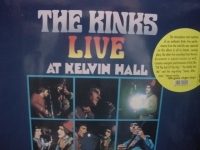 Also, The Kinks were banned from performing live in the United States due to a dispute with the musician's union. 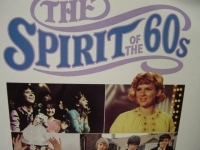 This collection of ten EP's put out by the band covers their most productive period of 1964-74, before Ray Davies decided to start writing music hall operas (but that's another story.) Blasting off with the quintessential garage anthem "Louie Louie" the band sets the tone for their raucous early recordings. 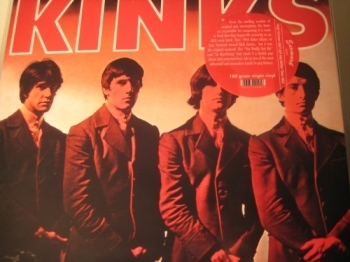 Their most well known work follows "You Really Got Me," "All Day and All of the Night" and the ominous "Sunny Afternoon" put The Kinks at the forefront of the British invasion on both sides of the Atlantic. 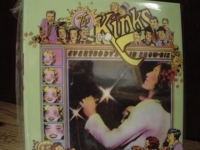 Then The Kinks became more album oriented and singles became less a part of the band's overall concept. Which isn't to say that the band couldn't spin off an amazing stand alone song. 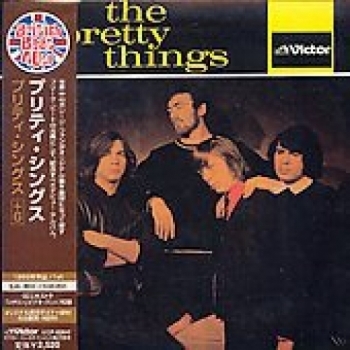 "Waterloo Sunset" which is found on this collection and also as the final track on the Something Else album has competition only from R.E.M. 's "Nightswimmng" as the most beautiful pop song ever written (ahem... Todd and Matthew.) 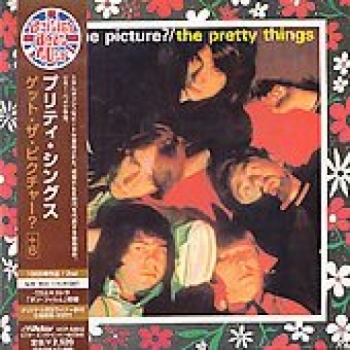 Also from the same album is "David Watts" a blasting up-tempo send up of the beautiful people in a high school setting. 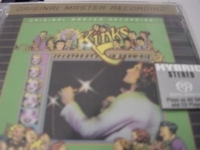 "The Kinks, You Really Got Me & Kinda Kinks (2 LPs in 1 CD)"
"The Rolling Stones, Aftermath US Tracks OBI"